In a recent survey, 87% of UK graduates with first or second class degrees saw freelancing as highly attractive. 85% believe freelancing will become the norm. In the United States, as reported in Forbes in August 2013, 60% of millennials stay fewer than three years in a job, and 45% would prefer more flexibility to more pay. While Generation X challenged the idea of a job for life, those entering the workforce today are challenging the idea of a job on any conditions. What does this mean for our economy and our society? Commentators who express concern about fragmentation of the workplace and social obligations, and fear that the change can only be for the worse, are overlooking a highly encouraging precedent. In Athens at the height of her cultural, political and military glory (approximately the fifth and fourth centuries BCE) no citizen would have dreamed of taking employment. They all worked and made a living but they had time to do a lot of other things as well. Probably because it was a slave society, it was infra dig for a citizen to work for someone else. If hard pressed you might agree to help a neighbour on his farm and be paid for it, usually in kind, but you wouldn’t sign up for long. You might work on a public building project, which brought kudos as well as income. Some civic duties were also paid, including military service, attending the assembly and being selected by lot as a juror, but, except in times of war, these payments would not support a family for long. Most citizens had a small farm, which provided some, but generally not all, of their food. Few would have had a marketable surplus and most would have needed to buy food. 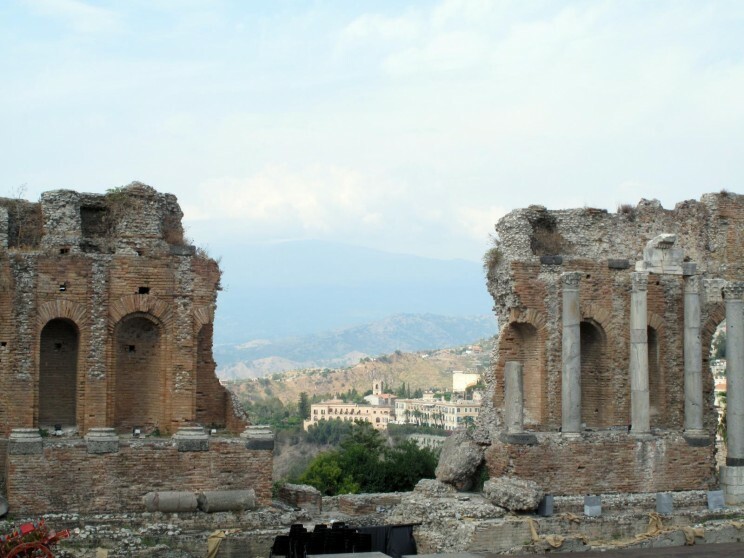 Teatro Antico – Taormina. by 190.arch (aka bymamma190). CC BY-NC-ND 2.0. via Flickr. The way many households chose to make ends meet was through making things, either for their own use or for exchange with neighbours or for sale in the Agora. Many households would have made their own pots: a mud kiln could be easily built and the technology was not hard to learn. All would have made their own clothes. If there were two women in a household of six, they would make just enough for the household; more women and they could make for market, fewer and they would have to buy clothes. Some households would have made simple metal objects for their own use and for sale. If you were rich and had your money invested in loans or factory slave gangs or mining leases, as most of the rich did, you could afford not to work yourself but your dozen or so slaves would be put to work making clothes, pottery or wooden or metal objects, generally under the supervision of the lady of the house. Women had fewer obligations outside the home, but in it they were the main economic decision makers. They were responsible for managing production and training the slave workforce and children. The household was the economic unit and the lady was the boss. The lives that citizens, even of modest means, could live under these arrangements were varied and colourful. They had time to go to the theatre and games and some evidently had time to philosophise. Not having permanent commitments to an employer, they could respond instantly to a military call-up and were able to vote in the assembly and act as jurors when required (with some compensation for loss of earnings). Some might choose to work very hard to improve their income but few saw that as a major objective. They can hardly be described as lazy, though. This period, when the majority of the citizen body were freelance workers, marked the pinnacle of Athens’ military, cultural and political achievements. Can we aspire to anything similar? Fortunately we can dispense with the two least attractive features of classical Athens. We no longer try to privilege men over women and for routine tasks we can use machines and computers instead of slaves. The internet gives us additional advantages; we can learn skills, buy equipment and raw materials and find customers for our output without leaving home. If we use these tools, and manage our time well, perhaps we can all learn to lead rich and varied lives, giving due time to friends, family and public affairs rather than in the single-minded pursuit of a career. Peter Acton has a degree in Classics from Oxford University, an MBA from Stanford Business School, and a Ph.D. in Ancient History from the University of Melbourne. He was a Vice President of The Boston Consulting Group from 1986 to 1999. 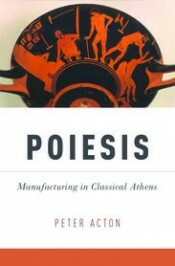 He is author of Poiesis: Manufacturing in Classical Athens.